Winter has arrived. Nighttime temperatures have hovered around freezing at night. The monsoon rains are here in between the cold spells, and the winds can blow upwards of thirty knots between weather systems. Days are short, and we spend a lot of time inside. Today was the darkest day in nine years. I run the diesel stove during the afternoon to warm up the cabin for the evening, and leave the AC heater running nonstop. The project for this winter is to repair Humpty (Satori’s engine) and hopefully prevent catastrophic failure in a remote place. It has been a pretty big undertaking repairing the corrosion on Satori’s engine. 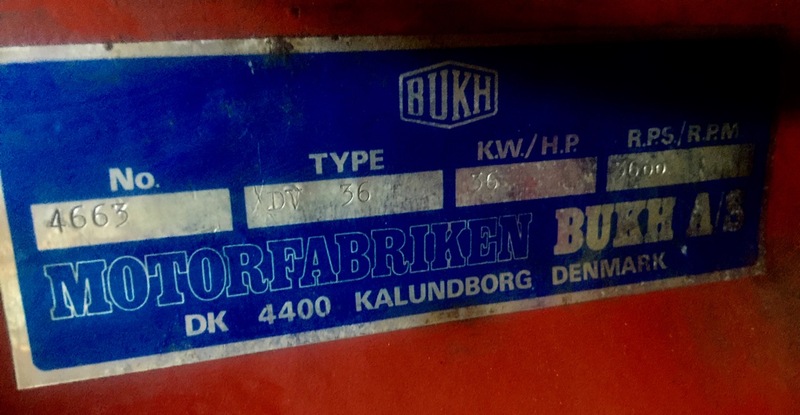 It’s also exciting to give a thirty year old engine a new life. Instead of watching it slowly bury itself into a shallow grave, I’ve seen a kind of resurrection. 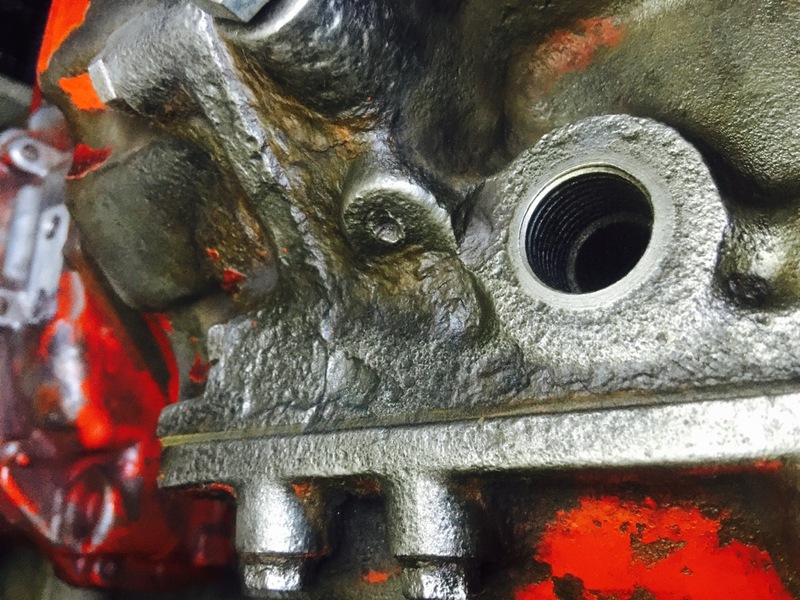 The issues are not beyond repair, but there is no guarantee that the engine will last very long either. There were times where I questioned the amount of effort to the amount of reward that was gained. It doesn’t matter really because I love engine repair, and this process has given me new insight to the condition of the engine. I would rather it wasn’t inside of a confined space, but I’ve adapted and allowed myself to be at peace with it. Eventually I learned how to do it without working too hard, getting frustrated, and avoiding injury. I learned how to keep the tools, solvents, cleaners, paints, and parts cleaned and organized without cluttering the boat. Living on a sailboat and working on a sailboat at the same time can be unforgiving. It wears on you over time, and is difficult to think about anything else. Fortunately the reward to such effort is confidence that the engine will continue to run . The cooling system overhaul eliminates compounding problems. 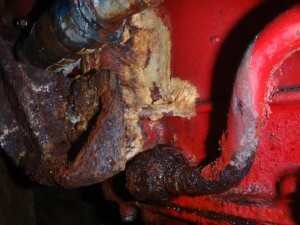 By eliminating any leaking, I have eliminated rapid corrosion. I have also added other means to help eliminate corrosion through regular maintenance. 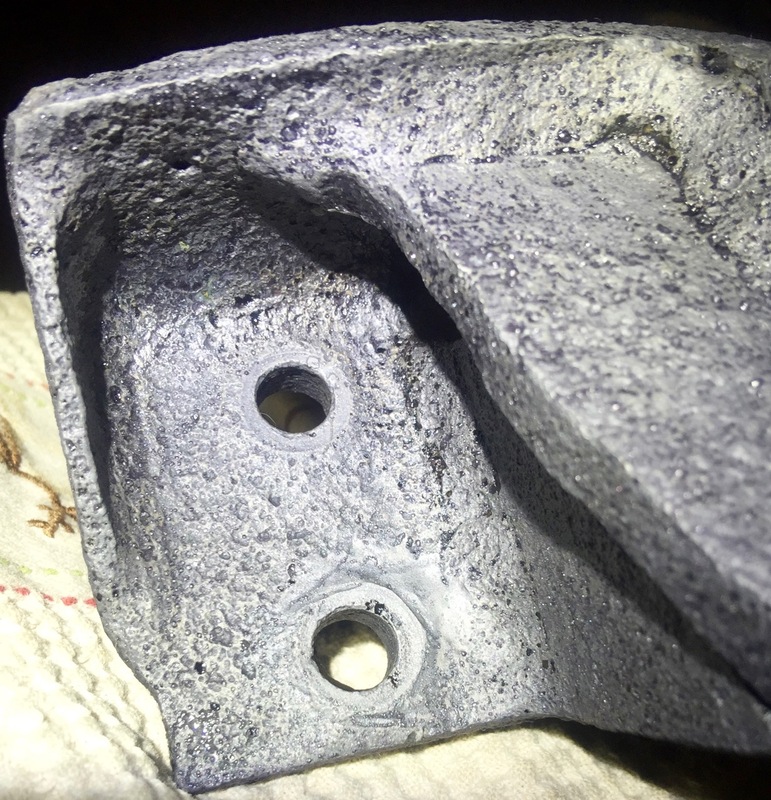 Through a collection of wire brushes for a drill, angle grinder, and Dremel I was able to get the majority of the surface rust off of the engine block, and the external components. By replacing the rubber parts, I can trust that the connections are no longer leaking or risk hose failure. 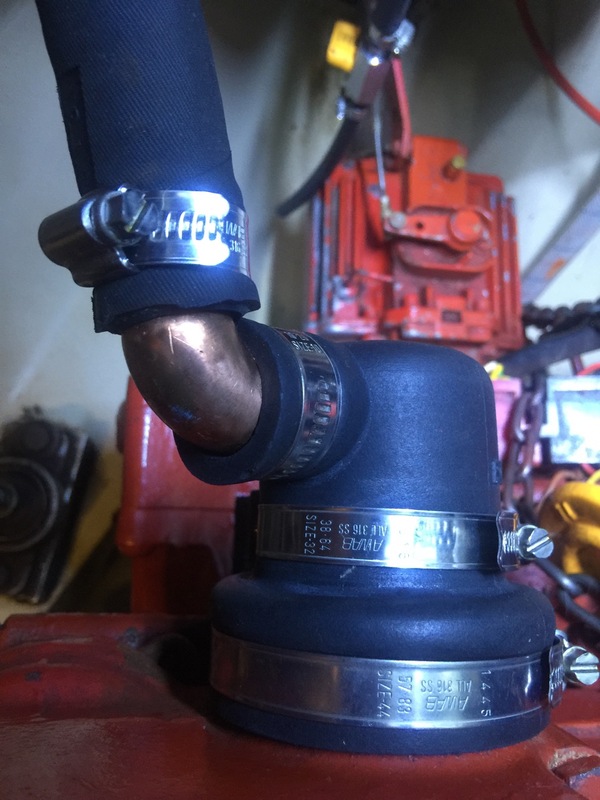 The original hose clamps have been upgraded to Awab clamps, which are less prone to rusting and can last a very long time . The attachments to the hoses will be cleaned and prepared to ensure a tight, waterproof seal. Each part has been cleaned and polished. Some have been clear coated with a high-temp enamel. 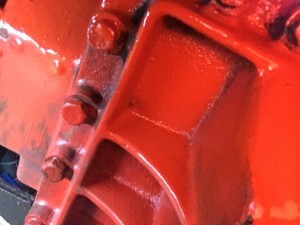 Others have been painted red to match the engine. Copper has been left to create it’s own protective oxide layer. Part of the engine block has been brought down to as little surface scaling as possible, and then prepared for several coats of red paint. The second phase involves having to prep the engine, removing the rear bolts on the rear mounting bracket, then reassembling the engine. 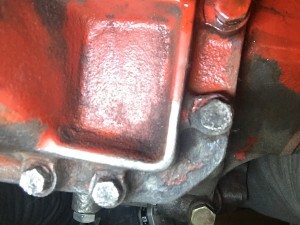 The last post I left off with the front mounting bracket being put back on and the engine being painted underneath. The biggest part being the bolts. I inventoried the bolts and assumed that the ones needing replacement would eventually come out, even if it meant drilling them out. 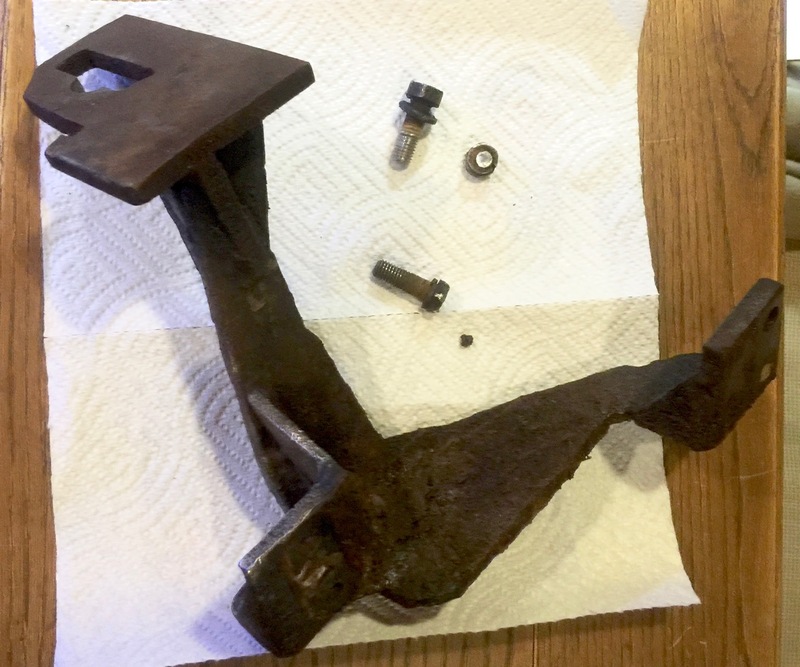 A total of fifteen bolts were completely replaced. It’s been six weeks since I started this project and I’m at ninety-nine percent to completion. Each day at lunchtime I would choose the next errand to run on behalf of the engine. Tacoma Screw, MFCP, and Stone Way Hardware are my most popular stops. Tacoma Screw handles bolts, hell-coil kits, the occasional socket, special drill bit, solvent, adhesive, and various odds and ends. Stone Way covers the wire brushes, paints, paint brushes, rust removers, tarps, rags, and other random hardware store items. MFCP is the hose, pipe, and pipe fitting place. Tacoma Screw and MFCP are a combination of wisdom rarely found in the maritime industry in Seattle these days. Right after work is when I usually tackle the engine. I’ll work on a bolt, or clean a part, wire brush the engine block, and peck away slowly. Once I hoisted the engine off of the rear bracket I had hit phase two. From the end of October I had most of the parts figured out, and placed an order for a new water pump. The old one will be a project for the future. I will need to order a new shaft and rebuild kit for it, but that can wait. 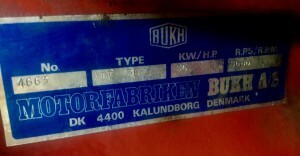 The other order was to French Marine in the UK for a few small Bukh parts. I should have bought more gaskets a long time ago, but I think at the time I was in denial about the situation. Now I have decided that I want to be able to service parts on a regular schedule and pay closer attention to it’s needs. The biggest part of this project was tackling the corrosion. I can only remove a small area at a time due to the dust and physical exertion. I wear a respirator, gloves, and eye protection but I still get metal splinters in my gloves and dust up the nostrils. There are little wires falling off the brush all the time so I have to make sure to vacuum often. I have the drill for the majority of the brushing, which is great if you have two batteries to swap. For bigger areas and for paint removal I use the angle grinder with a burly twisted and gnarled wire head. I must be very careful not to contact anything but the engine, and make sure to keep a controlled grasp at all times. Finally for polishing and hard to reach areas I use the Dremel. After each time I tackle the engine, I end up having a good sized to clean up. Every day after I’m done, I clean parts and put everything away. This keeps living on the boat and working on the engine manageable. Taking photos is very helpful so I can study areas and take notes about how to accomplish each small portion of the engine and parts. Digging into the engine has really taught me a lot about it, and will prepare me in the future when I need to tackle it again. Most of all it’s taught me never to neglect a diesel engine. Rear engine mounting bracket where most of the corrosion occurred. To remove the rear bracket, I needed to first tarp the cockpit so I could pull the floor hatch and setup the engine hoist. Only a centimeter in height was needed to prop it up and relieve stress on the bracket to remove the bolts. 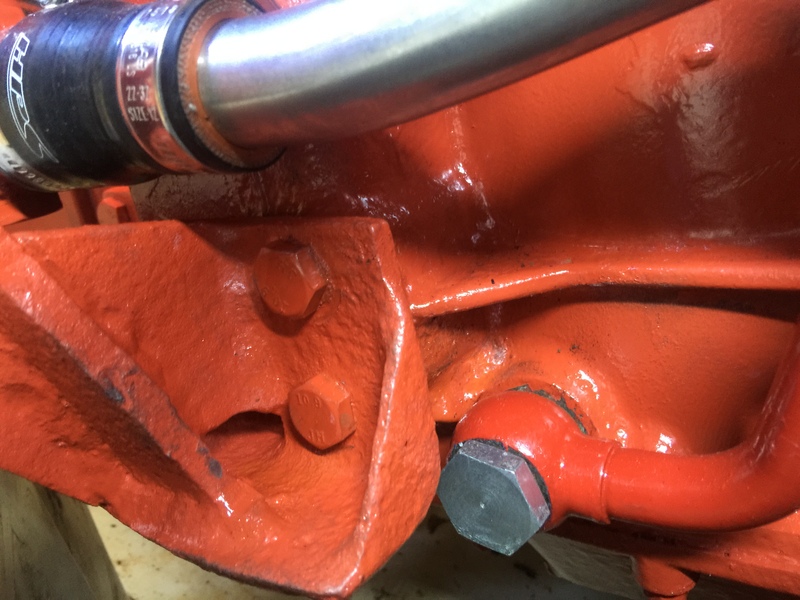 Before resigning to chopping the bracket bolt heads off, I decided to try a set of six sided impact sockets, lots of aero-broil, some oxy-fuel heat with a jewelers tip to break the bolts free. Out of the three bolts remaining I only had one bolt head shear off. The remaining came off with an extendable half-inch ratchet and impact socket. 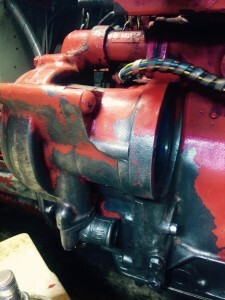 Getting the bracket off was a landmark achievement since the remaining work was cleaning the corrosion underneath, and repainting the effected areas. Removing the sheared bolt was accomplished the same way as the front bracket. I tried to use an extractor but it was seized beyond removal, so I added a double-stacked heli-coil. This time was a little more trouble getting the coils to line up so the bolt would thread to the end. After a couple of tries I finally ended up with suitable threads. I finally have a short list to get Humpty the engine back together again. I finished removing the scale from the engine over a weekend and by the following Monday had treated the bare surface with phosphoric acid (Ospho). The next day I completed most of the engine block painting. There were a few remaining steel parts that received a clear coat once back on the engine. There is less red paint than the original engine, but at least the hoses were not painted red like before. I ended up buying a handful of HPS brand reducing couplers made of silicon. These couplers help eliminate too much of a size change between pipe connections. Each one is about fifteen dollars, and I could get them on Amazon with free delivery in less than a week. 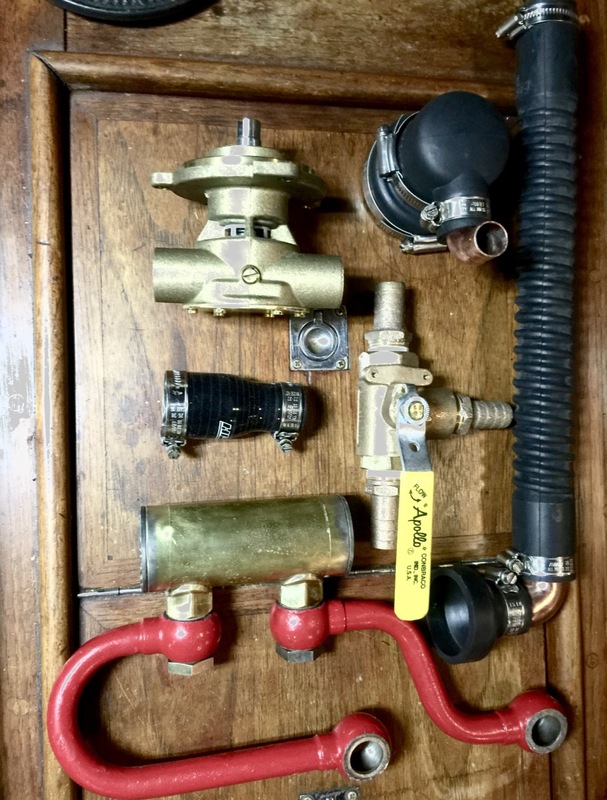 To get the hoses and couplers onto the pipes, I used alcohol between the pipe and hose to ensure that there was much less friction for sliding. 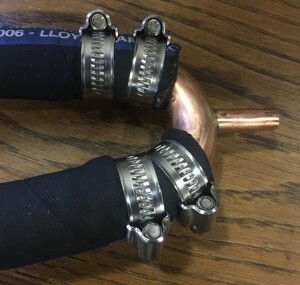 Once the alcohol evaporates the hose is tightly bonded to the pipe, so the hose clamps are just to allow for increased pressure. 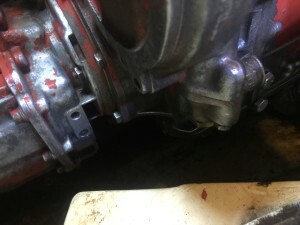 There are more parts but there is also less likelihood of the seals leaking due to the quality of each connection. I added double hose clamps on a couple of places where a single clamp is not strong enough to prevent movement. 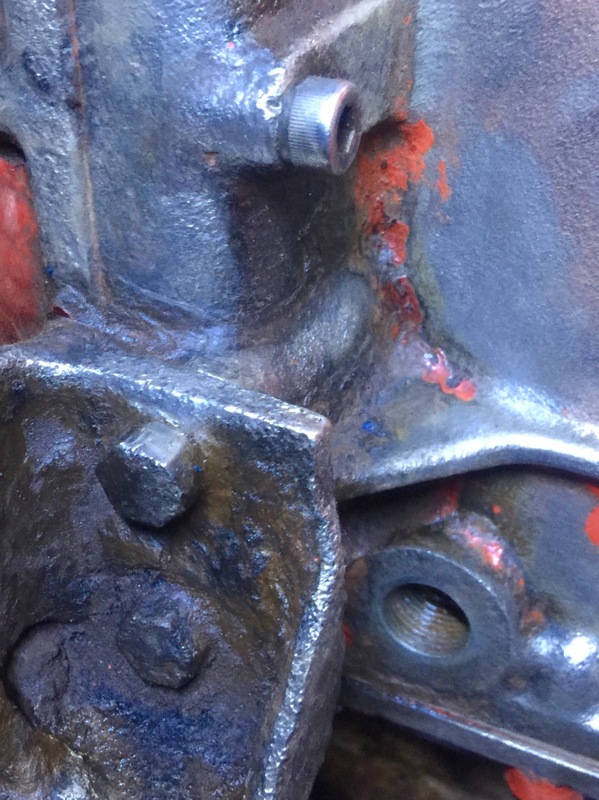 Where there are two clamps there is a very tight seal, which gives me confidence that the engine will stay dry and corrosion free. I bought the water pump from a local dealer of just water pumps. 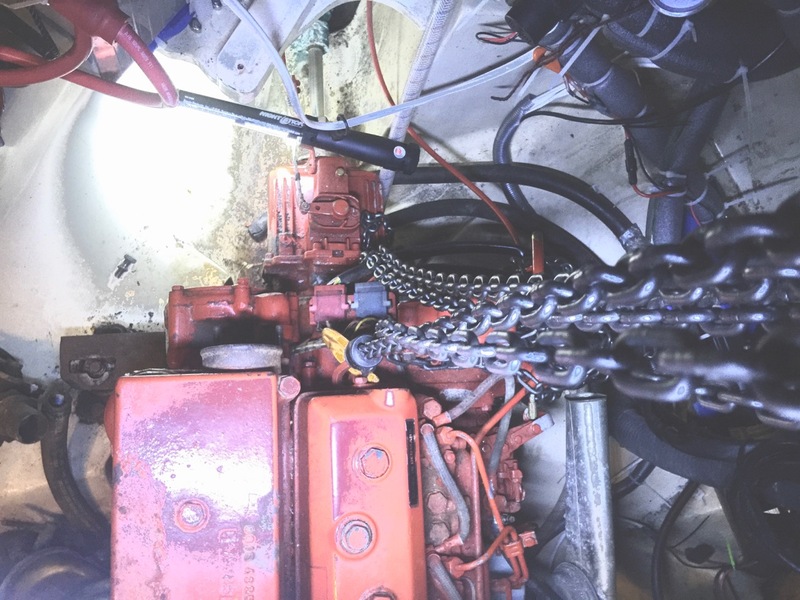 The owner and co-owner of Marelco have been in the maritime industry a long time and were very helpful with discussing possibly rebuilding the old pump. 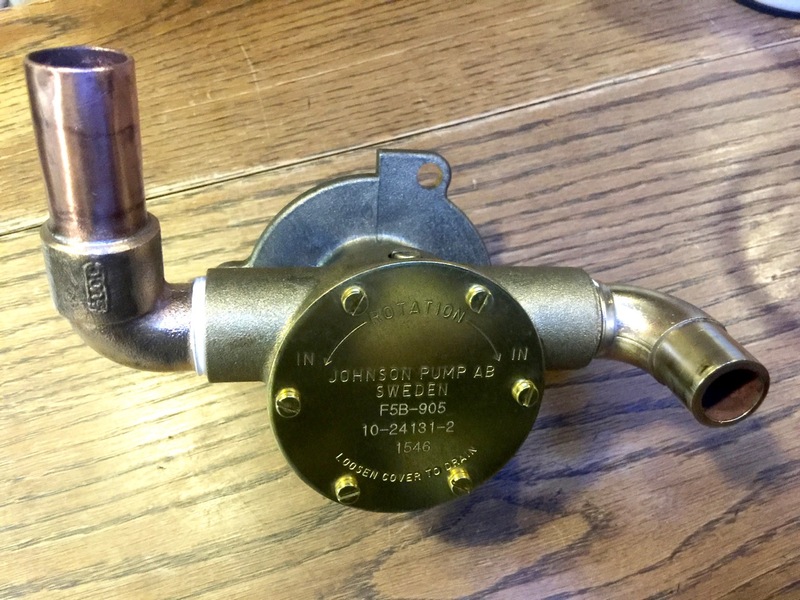 I’ve decided to buy a new pump again when the old one fails. Too much hassle for saving a hundred bucks. I only needed a couple of spare o-rings, and plate gaskets. They threw in the gaskets and I picked up a few 3″ o-rings at Tacoma screw. 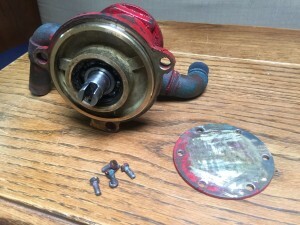 I wasn’t sure if the water pump had fittings already, but also had doubts that I would get off that easy. Sure enough, I had to reuse the old ones. 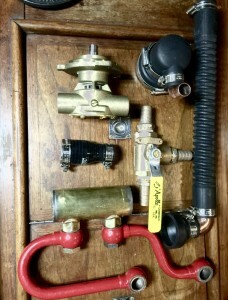 I was able to remove the fittings from the old pump, bathe them in CLR overnight, and polish them the next day. They were like brand new again. Like the other copper fittings, they had withstood thirty years with only a little calcium buildup inside the pipes. One the same trip as the water pump, directly across the street Tacoma Screw was able to supply me with the dreaded long list of replacement bolts, nuts, and washers. The mounting bracket and exhaust flange only cost $22 to get hot tanked and bead blasted at the machine shop. They both came out so good that the machinist suggested that I get moving on treating the steel as soon as possible to prevent immediate oxidization. I did an Ospho treatment, let dry overnight, then started painted with Krylon. By today I had the engine mounted and aligned back to the prop shaft flange. Only a single gasket and coupler is preventing me from starting the engine. Sometime this week I will celebrate this achievement and move on to upgrading the boom. No rest for the weary. I double clamped the seawater vented loop. I didn’t like connection with singles so I made this bomber. Yes I know they are not opposing Captain OCD.